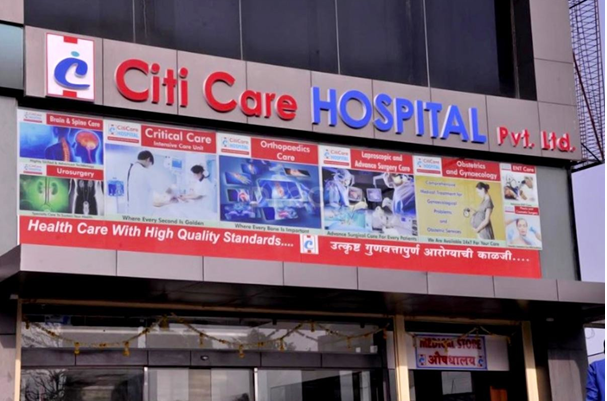 The Hon’ble National Company Law Tribunal or NCLT (Mumbai) Bench in M/S Citicare Super Speciality Hospital vs. Vighnaharta Health Visionaries Pvt. 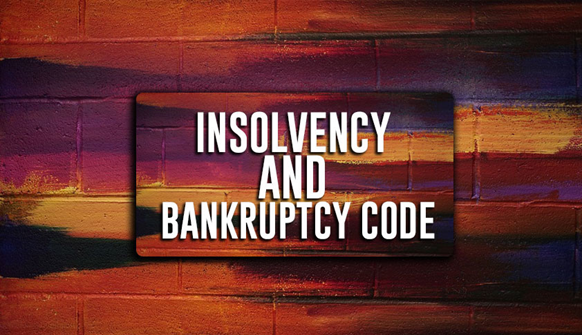 Ltd. has held that claims towards outstanding rent do not qualify as “ Operational Debt” as defined under Insolvency and Bankruptcy Code, 2016 ( IBC) and therefore the petition is not maintainable under Section 9 of the IBC. This judgment has raised some serious questions as far as Claims towards rent are concerned. In this article, we have tried to highlight these issues and explain why this judgment has turned the position grey and paves way for judicial review. The petitioner (M/S Citicare Super Speciality Hospital or the Operational Creditor) had entered into Leave and License Agreement on February 05, 2015 wherein, it was agreed between the parties that the respondent (Vighnaharta Health Visionaries Pvt. Ltd. or the Corporate Debtor) will use the hospital premises for the term of 5 years. Also, they entered into a Contract, which dealt with the Purchase of the medical equipment dated February 06, 2015. The Respondent started making default in the payments, from the month of June 2015. Hence, resulting in a debt of Rs. ₹3, 41, 30,397.50/- so, for that matter, the Petitioner filed a Company Petition under Section 9 of IBC for the initiation of the Corporate Insolvency Resolution Process against the respondent. Firstly, the Counsel on behalf of the petitioner contended that, both the parties had entered into an agreement of Leave and License for the period of 5 years. The said agreement was duly registered on the very same date. The Lease Agreement stated that, the hospital premises were divided into two parts, i.e. Part A and Part B. It was agreed by the respondent that, if they use only Part A of the premises, then the License Fee will be Rs. 15 Lacs per Month with an increase of 7.5 % Per Annum. Also, it was agreed by the respondent that, after two years or at the outset of usage of Part B, then the License Fee will be of Rs. 20 Lacs per Month with an increase of 10 % Per Annum. It was clearly specified by the Petitioner that, once this fee takes place, then this Agreement will be irrevocable until, the Lease Agreement expires. Furthermore, the Petitioner had entered into an Agreement of purchase of Medical Equipments with the respondent on February 06, 2015. Thirdly, it was contended that, the Petitioner has an Interest Fee Refundable Security Deposit of Rs. 40 Lacs. The total value of this Agreement is ₹98, 59,000/-. However, the principal amount of ₹34, 87,119/- and, with interest of ₹6, 39,645/- remained outstanding. Fourthly, the Petitioner had issued the letter stating that, the petitioner will hand over the basement of the same premises to the respondent, and the respondent will have to pay Rs. 30 per Square Feet. Furthermore, the respondent had to pay the insurance premium for the same, but the respondent failed to comply with the same. Lastly, that the petitioner requested the respondent for making the payments, but the respondent refused to do so. Thus, the petitioner issued a legal notice to the respondent on February 28, 2018 and, the respondents on receiving the legal notice denied the liability for the same. The counsel for the respondent stated that the petition was based upon the claim towards the outstanding rent/ license fee payable, and was not in respect of any goods or services. Thus, the claim towards outstanding rent/license fee were baseless as, it does not come under the purview of “ Operational Debt” and “Operational Creditor” as per the definition provided in the IBC, 2016 . Another contention with respect to defect in the petition as the Bank Statement was not annexed on record was also raised. Further, the counsel on behalf of the respondent stated, before the issuance of the legal notice on February 28, 2018, an E-Mail dated February 22, 2018 issued by the respondent to the petitioner, maintaining the understanding between both the parties regarding the dispute. The other contention was, the petition for recovery of license fees rent is not covered under I&B Code, 2016 as, it is a well- settled law that I&B Code shall not be used for the recovery of any outstanding rent/license fee. The Counsel of the respondent majorly relied upon a Judgment of Mobilox Innovation Pvt. Ltd. vs. Kirusa Software Pvt. Ltd. And stated that the only criteria which should be looked into are, whether the debt and default are in existence as on the date of filing the case. The term “existence of dispute” has been discussed in the above judgment as, if the notice of dispute has been received by the operational creditor and, it gives the information related to the existence of a dispute or of any arbitration proceeding which is pending between the parties, then the Adjudicating Authority must reject the application filed by the Operational Creditor. Further, for the major contention of non-maintainability, the respondent relied upon Judgment of Jindal Steel & Power Ltd. vs. DCM International Ltd. wherein claims of Corporate Debtor were rejected to be categorized Operational Debt as the amount which was claimed to be in default did not aroused in relation to the amount payable towards supply of goods or rendering services or in connection with the employment or in relation to the statutory dues as prescribed under Section 5(21) of IBC, 2016 and hence the Petitioner was not entitled to maintain the petition as an Operational Creditor. It was further elaborated that the person who claims an amount to be due should first demonstrate that the said amount falls within the definition of “Claims”as defined under 3(6) of IBC. Secondly such claim should be capable of being treated as “ debt” falling in the confines of Section 5(21) of IBC, meaning thereby capable of being treated as Operational Debt, and lastly such Operational debt must be owed to the Corporate debtor to the credit who can be considered as an operation Creditor” as defined under Section 5(2) of IBC. “The petitioner’s claim does not fall within the ambit of “Operational Debt” as per the definition provided in the Insolvency & Bankruptcy Code, 2016 or I&B Code, 2016. Hence, the petitioner is not the Operational Creditor, as the debt is not considered as an “Operational Debt”. Certainly, we have a contrasting opinion against the Judgment passed by the NCLT Mumbai Bench as; we believe that, this is the clear case of overlooking the merits of the case, by the Hon’ble tribunal. The parameters to fall under the definition of an “Operational Creditor” have been defined under section 5(20) of I&B Code, 2016 which is: “any person to whom an operational debt is owed and includes any person to whom such debt has been legally assigned or transferred“. Whereas, under section 5(21), the term “Operational Debt” have been defined which is: “a claim in respect of the provisions of goods or services including employment or a debt in respect of the repayment of dues arising under any law for the time being in force and payable to the Central Government, any State Government or any local authority”. From our viewpoint, the petitioner in this case has given his hospital premises to the respondent for the functioning of the respondent’s day to day operations, and in absence of which respondent cannot provide the services that it generally provides, hence it is clearly directly related to the input and output of the supply of services, provided by the respondent. Meaning, thereby that, the petitioner “supplied the service of providing Infrastructure” to the respondent, resulting in crystal clear relationship of the operational creditor and corporate debtor between them respectively. To better understand the term “Supply of Services” let us refer to the act where the same is defined. According to the Section 2(a) of the Central Goods & Services Tax Act, 2017 (herein referred to as CGST, 2017), defines the term Supply of Services as “any lease, tenancy, easement, license to occupy land is a supply of services.” Furthermore, Section 2(b) of the Act makes it amply clear that, “any lease or letting out of the building including a commercial, industrial or residential complex for business or commerce, either wholly or partly, is a supply of services”. A harmoniuous reading of the above paragraphs makes it amply clear that , leasing and letting out of premises amounts to supply of services, it has been already explained in the aforementioned how these services are in directly relation to input and output of Corporate Debtors services. The Hon’ble NCLT (Kolkata) Bench passed an order in Sarla Tantia vs. Nadia Health Care Ltd. where in it was held: Amount receivable, by way of lease rent from time to time or license fee for letting out the premises comes under the ambit of providing services. Also, the term Arrears of Rent are covered under the meaning of Operational debt defined under section 5(21) of I&B Code, 2016. So, as in the present case, since, petitioner/ Operational Creditor was providing the services which had a correlation of direct input to the output supplied by the corporate debtor or the respondent. Basically, in simple terms, if the respondent has not been provided with the hospital premises, then the respondent wouldn’t be able to proceed with his daily commercial transactions. Thus, in the concluding remarks, We would like to say that IBC, 2016 is at a very nascent stage and it needs to be more developed until then, the judges have to refer and rely upon the other laws for the purposes of Interpretation. So, from our point of view, this judgment of the Hon’ble court has turned the position grey, and therefore it is clear that Judicial Intervention is bound to happen in light of contradictory judgments from other jurisdictions. Author: Mr. Shubham Borkar, Senior Associate – Litigation and Business Development and Vaishvi Khare– Intern, at Khurana & Khurana, Advocates and IP Attorneys. In case of any queries please contact/write back to us at shubham@khuranaandkhurana.com or at www.linkedin.com/in/shubhamborkar.